We're half way through June already – how the hell did that happen? 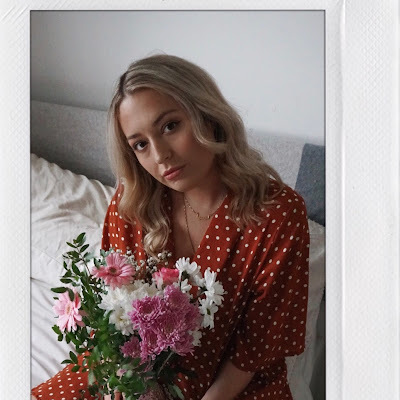 I feel like the summer season has well and truly crept up on me this year so it's all systems go when it comes to summer beauty rituals. I've booked an appointment for a fresh set of highlights and given myself a pedi-pamper, but of course the most important part of my summer-ready regimes is maintaining a sun kissed glow and ensuring my skin is looking it's best. Whether I'm fake tanning or soaking up the sun on my next trip abroad, exfoliation is key to keeping a flawless tan all over. Having a good old scrub will banish dead skin cells, unclogs pores and prevents uneven skin tone, leaving your skin it it's prime condition to tan. 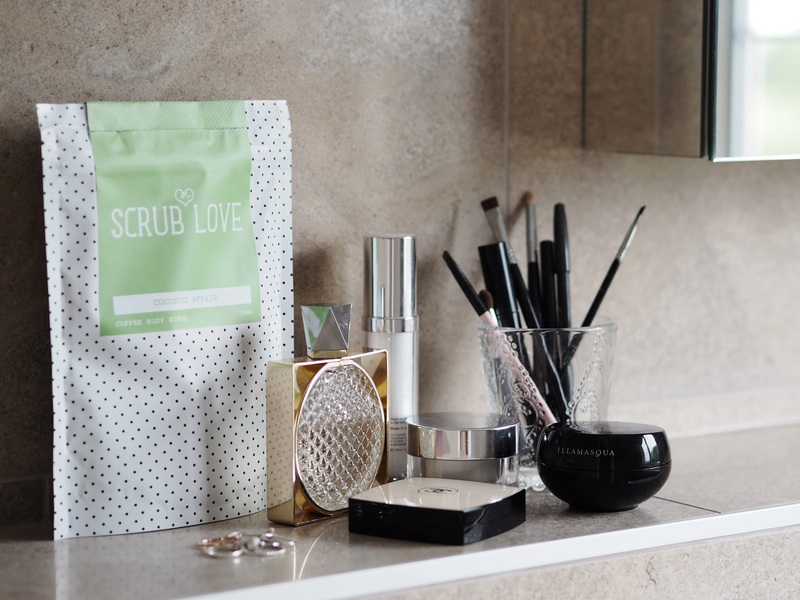 I've always been big on exfoliating, from salt scrubs to exfoliating gloves there's always been a scrubbing product or two on my bathroom shelf. Until recently, however, I hadn't tried a coffee scrub, despite hearing only good things about the benefits. I've now been using Scrub Love's coffee scrub for a couple of weeks and my skin is feeling pretty amazing. The ground coffee strips away dead skin cells without damaging any new skin underneath and the high caffeine content stimulates circulation too. 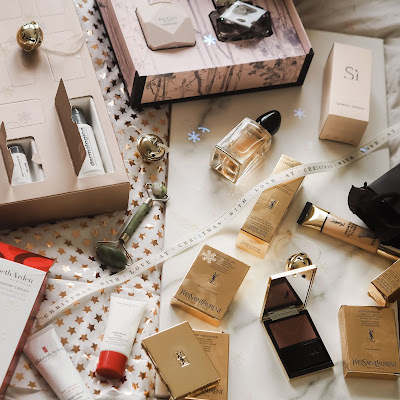 The product also targets problems such as cellulite and stretch marks – both of which are issues for me so I've been so impressed with how much smoother my skin looks and feels already. 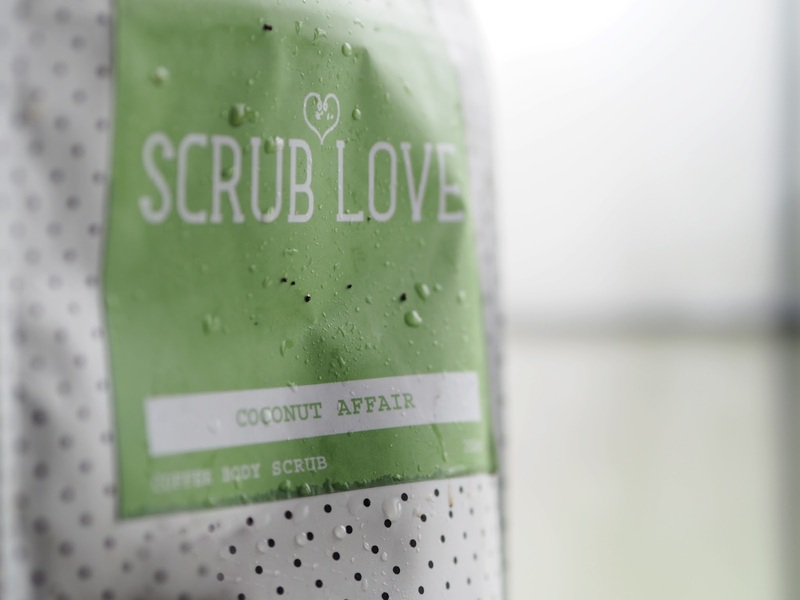 Scrub love have an Original Lovin' and Mint Fresh coffee scrubs as well, but I'm totally obsessed with the Coconut Affair scrub right now. With a;l-natural ingredients including baobab and coconut oil, it smells quite literally good enough to eat (though I wouldn't advise it). Of course, this makes the whole experience extra-lovely, and exfoliating has become less of a chore and more of a total pamper session. It can get a tad messy so be sure to use yours in the shower or bath, the scrubs come in a resealable waterproof sachets so you can just leave them in there to be on hand whenever you need. Thanks for reading this beauty update! 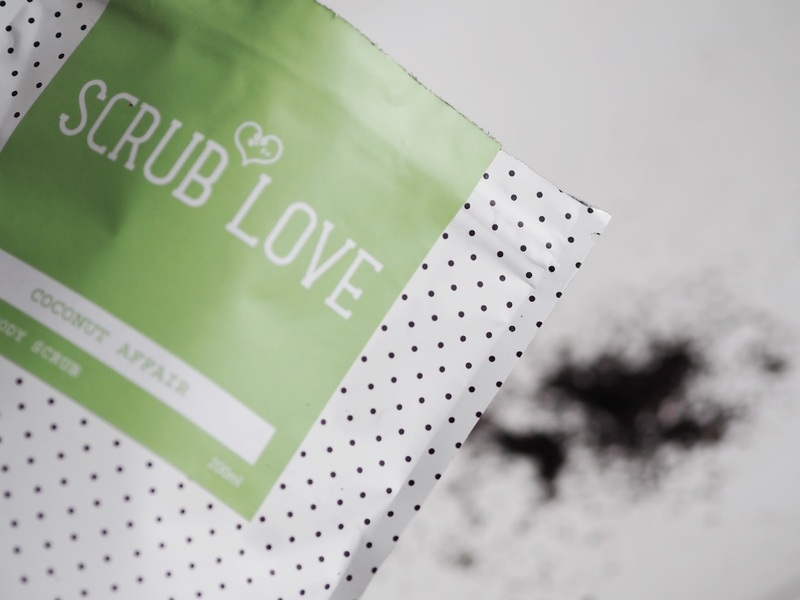 I'd love to hear your thoughts on coffee scrubs below.